Under a new statute from the Federal Reserve which went into effect on July 1, 2018, checks deposited by phone need to include specific language. You're receiving this email notification because a recent change in federal regulations affects the way you make your online and mobile deposits. 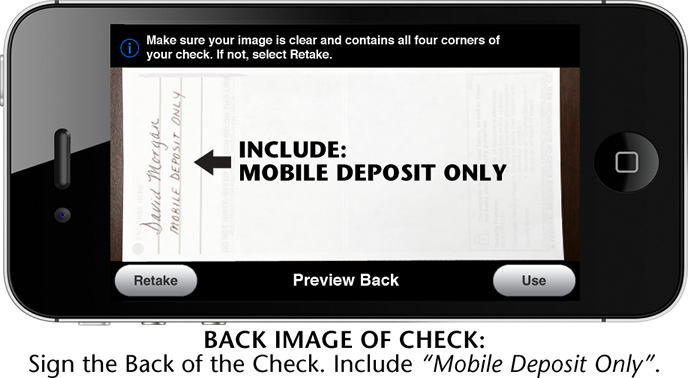 Now, when you endorse your check (sign the back of the check you are depositing), you're also required to indicate in writing that you're depositing the check online or from a mobile phone (remotely). This change applies to all financial institutions that accept online and mobile deposits. Our terms and conditions for BECU Online Deposit and Mobile Deposit services have been updated to include this new requirement. Known as Regulation CC, this new policy allows financial institutions to protect themselves from check fraud associated with remote deposit capture (RDC), the technical term for depositing checks by taking a photo with your cellphone. Anyone taking advantage of this convenient service will be required to use new, specific language while endorsing their checks. Bank customers are now required to endorse all checks with the phrase “For Mobile Deposit,” "Mobile Deposit Only" or a similar phrase in addition to their signature. Checks with incomplete endorsements may cause a delay in processing and could cause the deposit to be rejected in the future.